Winter to me brings memories of warm cozy evenings by a fire while watching the snow drift slowly outside our window. Sounds beautiful - who wouldn't want to get married in a picture like that?! The truth is, as beautiful as it sounds, there are certain "logistics" with winter weddings that can make - or break your day! 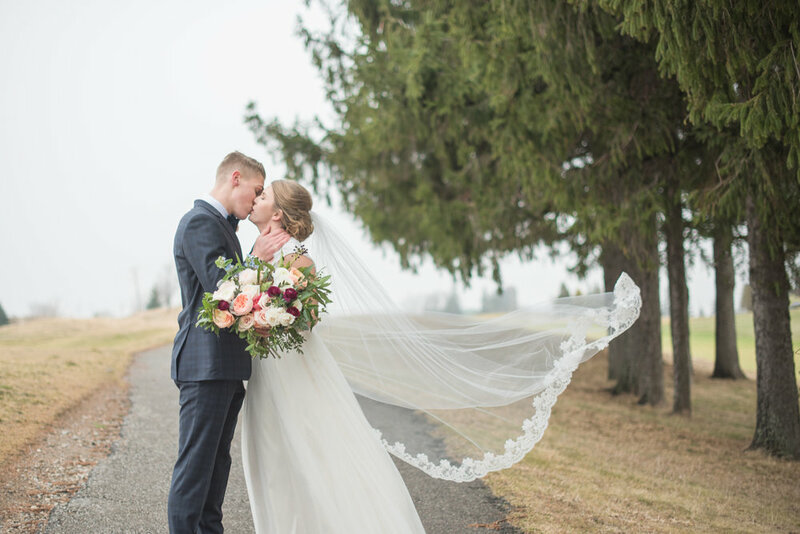 Here are some helpful hints for a gorgeous and beautiful winter wedding and how to get perfect images of your day. 2. Choose a naturally well-lit indoor location for photos without need for overhead lights. 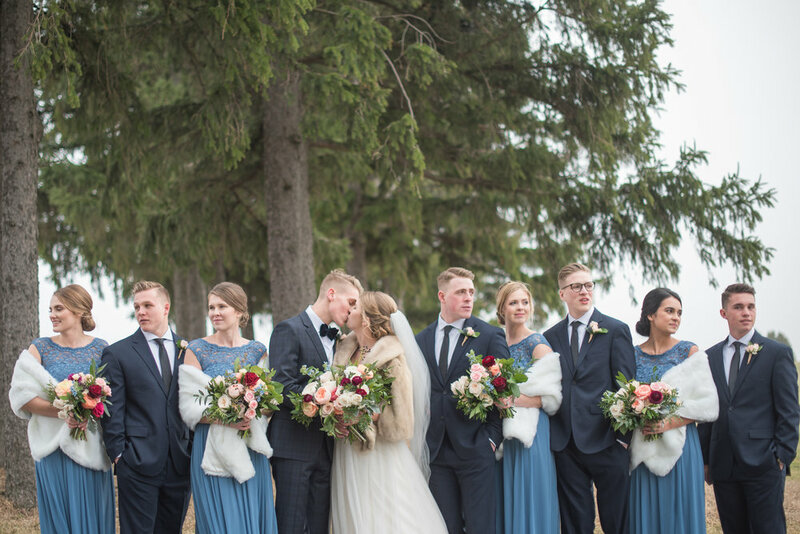 Again, winter weddings can be colder than expected and although we definitely want you outside for some photos, we need to be real and make sure we keep you warm for some as well. We suggest doing family photos inside if possible or in an outdoor spot that it a quick hop inside to keep moms, dads, kids and grandparents happy! If you aren't sure what will work, we are here to offer suggestions and help you select the perfect spot - just ask! 3. 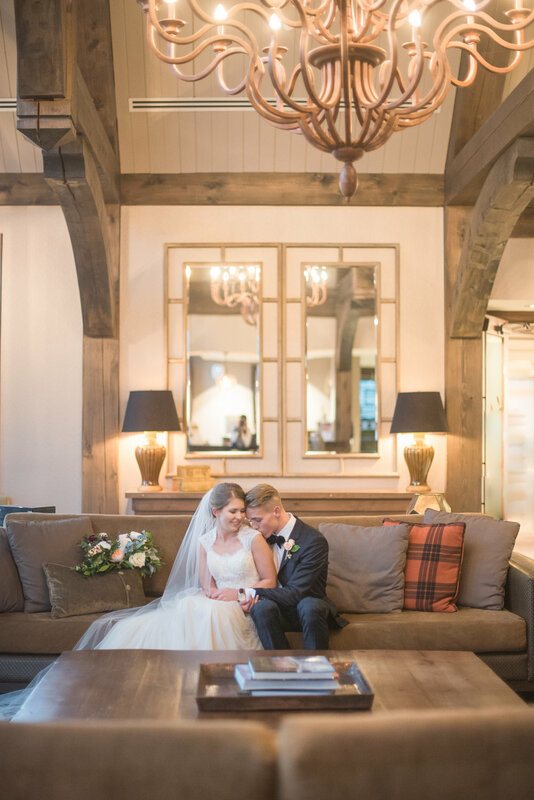 Make sure your indoor ceremony location is well lit with natural light, and maybe even a fireplace. Add lots of candles and lanterns for a warm, cozy feeling. 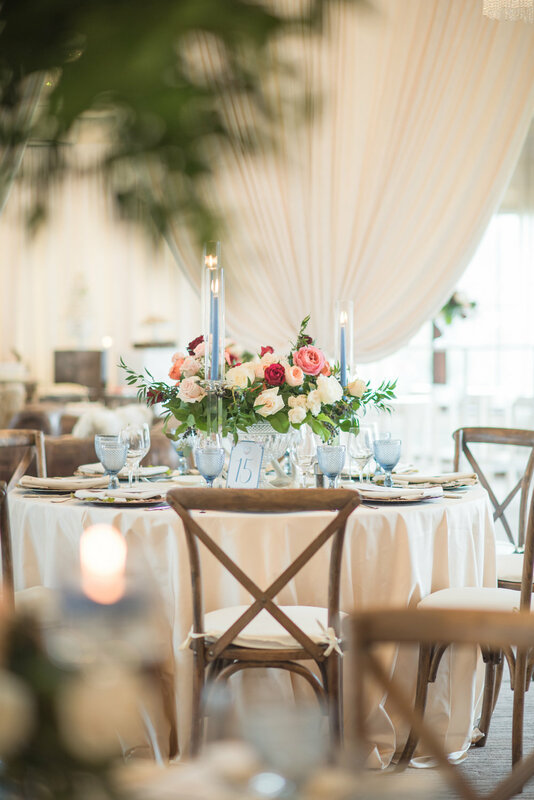 Have blankets ready for your guests to grab if needed and keep your florals in season using deeper colour accents or dried elements for a seasonal feel. 4. Create a warm, "baby its cold outside" kinda feeling at your reception. Select chairs of warm wooden tones, layer the linens and tableware to create a "collection" feel while adding rich tones in your floral palette and loads of candles and wooden/wintery elements on the tables like bark/antlers/pinecones/berries/winter fruits etc. Dim the lights in the room! These things will help make your day feel warm, magical and help all those winter humbugs embrace the season! 5. Lastly, but most importantly - enjoy your day! If you prepare yourself in advance - success will be on your side. Don't worry about the snow, cold, guest delays etc. Just be present and remember that this day is a celebration of your love - make it count!